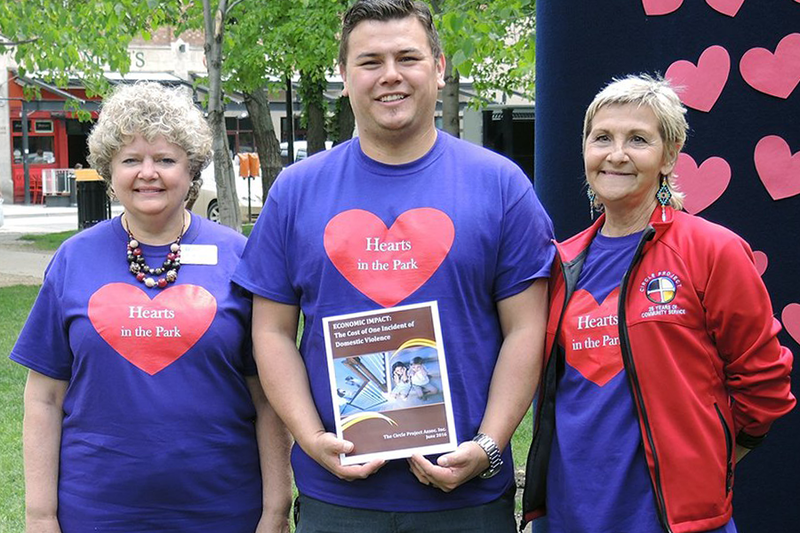 The University of Saskatchewan College of Nursing participated in the Hearts in the Park event hosted by community partner The Circle Project, at Regina’s Victoria Park last week. The event was in honour of loved ones who have felt the impact of violence. “We want to raise the level of awareness, in creation of a safer community for all, by inviting people to show us your heart,” said Ann Perry, executive director of The Circle Project in Regina. This partnership provided Raymond McKay, Regina nursing student, the opportunity to work for The Circle Project as a research assistant and community role model last summer. His research assignment was to investigate and estimate the cost of one incident of domestic violence and the results were staggering. See more on the College of Nursing website.